Cardinal Saturdays last approximately 1 hour and 30 minutes – It's a walking tour so be sure to wear comfortable shoes! Please come prepared for any weather condition, as long as it's not lightening we will continue with the tour. Highlights include visits to the Sheila Umphrey Recreational Sports Center, Dining Hall, Cardinal Village residence halls and the newly renovated Setzer Student Center. Our Financial Aid and Scholarships Office will be open and available for walk-in meetings after campus tours. After the tour, we'll be happy to meet with you one-on-one to answer any questions. Please reserve your tour time at least two business days in advance. We can't wait to see you! *Please be aware that most offices on campus will be closed on Saturdays. 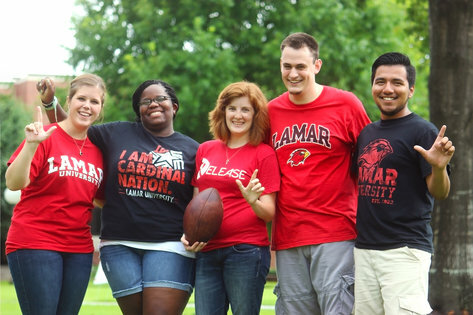 Schedule your Cardinal Saturday visit by selecting one of the dates below!